This week’s travel theme is N for Napier, a city on New Zealand’s North Island, most noted for its extensive array of Art Deco buildings. And one of the first places to catch the eye of tourists is the Masonic Hotel, right on the waterfront of this seaside town. It is the third iteration of a hotel on this site – the first dates back to 1861, but was destroyed in a fire in 1896. Interestingly, the fire station was across the road – but somehow, the alarm wasn’t sounded for 15 minutes after the fire erupted … making in certain that the building couldn’t be saved. The rebuilt hotel was then destroyed again in a 1931 earthquake – along with almost every building in the town. 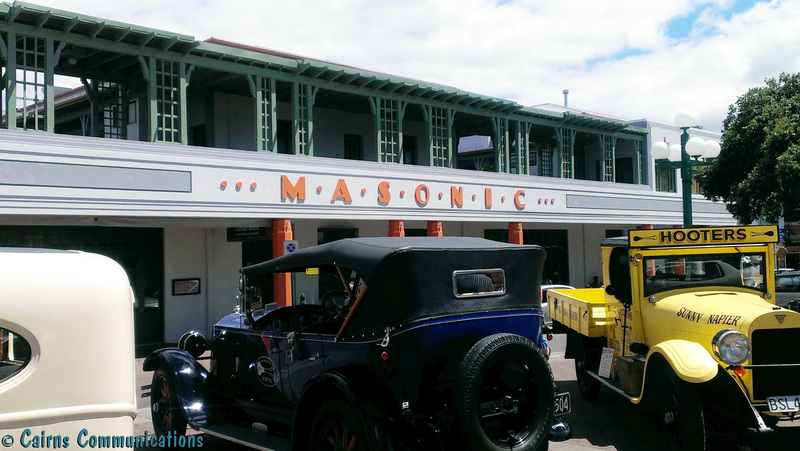 But the Masonic Hotel was rebuilt – in the Art Deco style that’s become synonymous with Napier. Some of the rooms are reportedly haunted, but that hasn’t stopped locals and visitors alike from flocking to the hotel … from royalty to regular joes. It was extensively refurbished inside in 2012 – but the exterior remains remarkably similar to its 1930s design features. Now, the name seems to be a New Zealand thing – there are a number of Masonic Hotels across the country and they don’t appear to have any direct connection with Freemasonry (or even stonemasonry) – but I was tempted to go inside and see if I got a secret handshake with my scotch and soda. Travel Pics Theme: N for Napier. Two bishops for the price of one. Awe, we only passed by Napier! Masonic hotel being haunted. Do you mean that people flock to stay there for the spiritual experience?